What is Adobe doing with plugin downloads? Apparently Adobe is insisting that only Firefox should be allowed to download the installer for a Flash plugin. I had to fake a Firefox user-agent in SeaMonkey before I was able to download the latest one. Why do that? It makes no sense to me. Doesn't work for long time - there is available Adobe Download Manager only. URLs must be changed for newer versions. Actually, that link does still work. Last edited by LIMPET235 on August 21st, 2018, 6:57 am, edited 1 time in total. Reason: Killed the live link/s. JIC. (A user on Pale Moon forums ran into issue downloading. 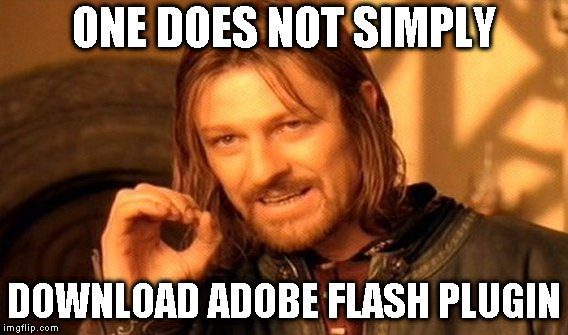 I would expect https://get.adobe.com/flashplayer/ to simply work, but haven't used that in ages. Not quite the right answer for MacOS, though. Oh, that's right, you need a dmg. Funny thing! Your URL and my URL should gave the same files... but they are not the same! EXE file from "latest" folder has older digital signature then "30.0.0.154" folder. I didn't checked DDLs so I don't know more details. therube wrote: A user on Pale Moon forums ran into issue downloading. So I'll take it that both are equally valid, though slightly different in packaging leading to different hashes. The one, in order to use, you must know the current version number - in order to get the current version. The other, theoretically, should always return the most current version. That did not work. I tried that. It sort of worked if I gave SeaMonkey a fake Firefox user-agent, but did not work with any other browser. Therube's second link works, so thanks for that.